It has been around 3 years that we first saw the GS from the house of Lexus. Taking the luxury sedan segment ahead, they recently unwrapped the all new Lexus GS 200t 2016. The model features new style and comes with a more powerful engine beneath its hood. Let us have a look at the review of Lexus GS200t 2016 to know in detail about it. The interior of Lexus GS200t 2016 received subtle changes but those integrated make it remarkable. The leather upholstery gets some new colors like the Chateau, Noble Brown and F-Sport-exclusive Rioja Red. To add contrast to these new upholstery colors, company offers various trim works like Naguri Aluminum, Linear 3D and Matte Walnut. Heading ahead from the looks and getting to the tech features, the model comes loaded with a gauge cluster that has 4.2 inch multi-function display while the center of the dash gets adorned with a massive 12.3 inch screen featuring a newly designed Remote Touch Interface trackpad. 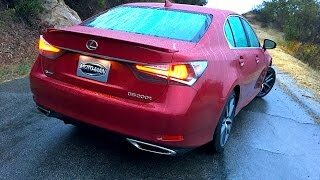 Thus rounding up the interior details of Lexus GS200t 2016 I would say that company has very well managed to create a balance between looks, luxury and comfort. Just like the interior, exterior of Lexus GS200t 2016 too receives few changes only. Let us start with the aggressively sporty front where we have the predecessor grille getting dissected by bumper and feature a corporate look. On both the side we have new light clusters. The same LED effect can be noticed at the rear end also while the 19-inch rollers get also get a new theme. Looking from the side you can notice a smooth line walking horizontally from the center of the doors and giving the model the most desired touch. 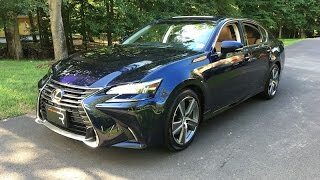 Thus rounding up the exterior details of Lexus GS200t 2016 I would say the exterior still retains a corporate look but with a minute touch of aggression coming through the new light clusters and the grille design. 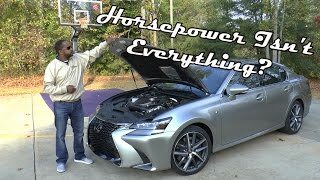 Powering the Lexus GS200t 2016 is a new 2.0 liter turbocharged four-cylinder cranking total output of 241 hp and peak torque of 350 nm. 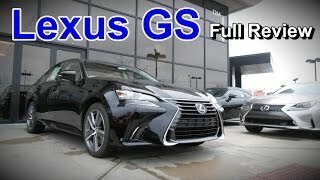 The performance figures of Lexus GS200t 2016 are still not shared but you can expect them to be released very soon as the model is all prepared to rule the streets.